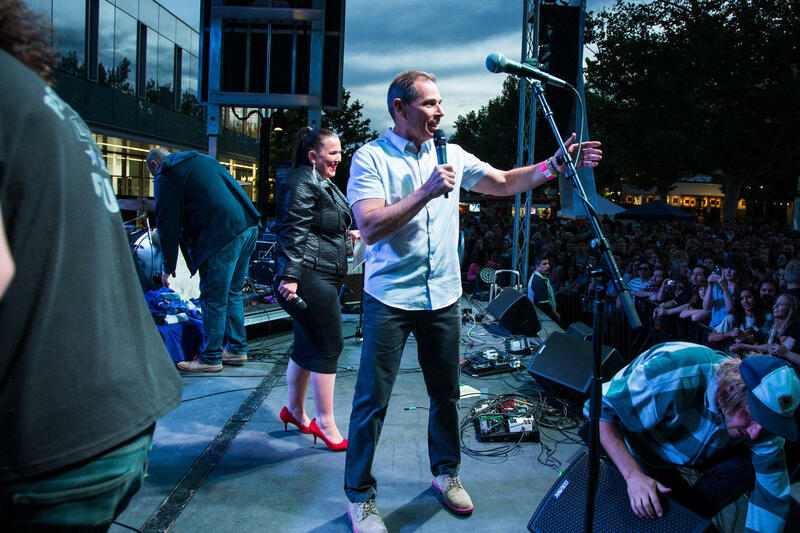 Provo Mayor John Curtis is hoping to translate his high approval ratings into a successful run for Congress. He's one of three Republicans running to replace former Rep. Jason Chaffetz of the 3rd Congressional District. For the last eight years, voters have given John Curtis high marks as the mayor of Provo, Utah’s third largest city. Now he’s hoping that popularity will translate into a successful run for Congress. He’s one of three Republicans running in the 3rd Congressional District for the seat recently vacated by Jason Chaffetz. Their primary is scheduled for August 15. We visited Curtis at his campaign headquarters in Provo and began by asking him how his tenure as mayor would help him in Washington, where Republicans have struggled to pass any major items on their legislative agenda. Below are excerpts of our conversation. Curtis: I think mayors have the hardest job. If you think about it, everything ends at the city level. ...We make harder decisions than people can imagine. Think about putting a road in someone's backyard; think about coming up with funding sources without raising taxes. Every conceivable difficult problem is handled at the city level, and better than it is at the state and federal level. So my response to that would be, come be a mayor for a few weeks with me and you'll see how difficult it really is, and why I think that that experience better equips me than any other experience available. Q: You did not succeed in getting the state party's nomination, and it's fair to say you've faced deep skepticism from conservative delegates who challenge your conservative credentials. How do you respond to that criticism, and how you think you can win without the support of some of those people? Curtis: Because I had signatures, it was a really hard sell to say 'Vote for me' because I'm already on the ballot. I had a number of delegates tell me, 'Well, I like you but you're already on the ballot, so I want to vote for somebody to get them on the ballot'...and I understand that. ...And then the fact we did signatures also alienated delegates to begin with. It's hard to really know had I not done signatures, how that would've turned out. We think we would've done fairly well there. Although I've had experience in both parties, if you look at my principles, you'll see that they have never changed. They've never waffled, even the slightest little bit. As far as the conservative bonafides, this is where if anybody will spend a few minutes, this is an easy conversation. Although I've had experience in both parties, if you look at my principles, you'll see that they have never changed. They've never waffled, even the slightest little bit. I don't think any conservative can show you that kind of eight-year track record of fiscal conservatism like I've been able to do as mayor. Q: Let's pivot to health care for a minute. The Senate delayed their vote on their health care bill. ...Where do you stand on the Congressional effort to repeal and replace Obamacare, and is there a bill out there right now that you could support? Curtis: The Senate bill is so new it's really hard for me to tell you absolutely whether I could support it or not. I just don't know enough about it. But I can tell you this, my observation is that Republicans made a tactical mistake by not being ready for this opportunity. For eight years we complained, and really didn't prepare ourselves for the moment when we'd have the House, Senate and presidency. I'm fearful as a result, we've moved too quickly. And the goal has been to repeal and replace so quickly that we haven't been as thoughtful as we should have been. I would like to see us slow down. I do believe there are massive problems with Obamacare that need to be addressed. But I'd rather see us be a little bit more methodical, and go a little bit slower and come up with that right answer, rather than just an answer so we can say we passed something. Q: The 3rd Congressional District includes the Bears Ears National Monument. ...Do you think it was appropriate for President Trump to order a review of monuments created by previous presidents? Curtis: Absolutely. What happened was wrong. To make a unilateral decision at the end of a term, 2,000 miles away, of course you're going to have very angry people and people frustrated with what happened. ...I believe that's even people who are okay with some kind of a monument. ...So the review is appropriate, and I'm hoping that it evokes a more thoughtful answer. What happened was wrong. To make a unilateral decision at the end of a term, 2,000 miles away, of course you're going to have very angry people and people frustrated with what happened. ...I believe that's even people who are okay with some kind of a monument. You need to be able to say to people that live in that area, 'We have thought through issues like recreation and grazing and access to all things we were doing before in those areas.' I believe we can reach that point where we can respect those needs of the local people and actually put them in control in this decision process. Q: On town halls, you've said you want to hold more of them if elected. Why is this important to you, and do you think the Utah delegation has shirked this responsibility to engage with its constituents? Curtis: So I wouldn't pick on our delegation. I think they do a fabulous job. But I would say this — that politicians in general, and this is not just Washington, D.C., we don't know how to connect with our constituents. And one of the things that's been magic in Provo is this connection. We have found the formula, in many ways, to make people feel part of what's going on in government, and they love it, and they're responding. People who've never been involved in city government before are feeling like it's their city. And It should be. It's not ours, it's theirs. And I have no doubt that I can bring that same connection 2,000 miles away. And I'm actually really looking forward to making people feel like they're part of what's going on back there, and I think they'll respond well to that and like that. Note: KUER will interview all three GOP candidates leading up to the August 15 primary. 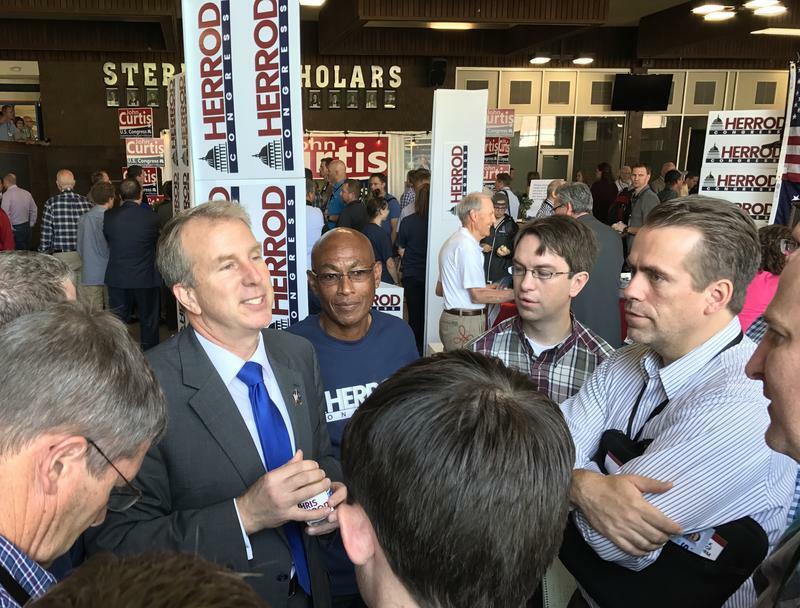 In a surprise win, former state lawmaker Chris Herrod won the Republican nomination to replace Rep. Jason Chaffetz of the 3rd Congressional District. The once-crowded Republican field to replace Congressman Jason Chaffetz is now down to three candidates — and when it comes to discussing President Trump, the GOP candidates are striking a delicate chord between support and uncertainty. 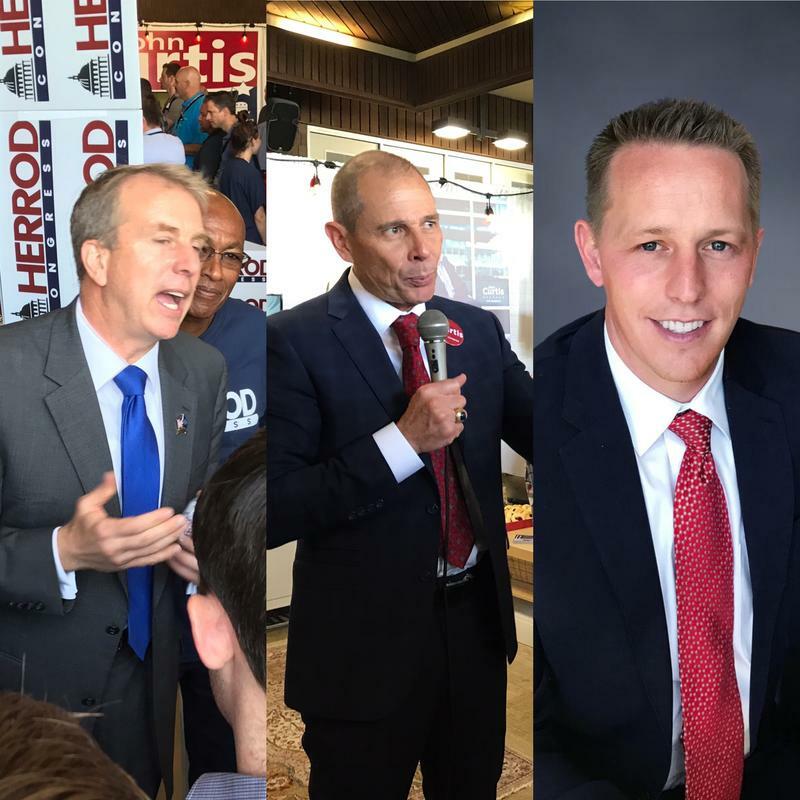 Provo Mayor John Curtis stood inside a packed reception hall in the city’s downtown Thursday evening and made his candidacy official, joining a crowded field of more than a dozen candidates running to replace Rep. Jason Chaffetz.